Into the current 2010 NASCAR Sprint Cup Series season, the status of Richard Petty Motorsports driver Kasey Kahne has rested in limbo. Holding 11 victories on the elite stock car circuit, 30 year-old Kahne has ridden a rocky road in the #9 car which included ownership and sponsorship changes since he was drafted to the team in 2004. Kahne's status as one of the Sprint Cup season's most consistently popular drivers left to chance of a nousy silly season. However, entering into only the 7th race of the 2010 NASCAR Sprint Cup Series season at Texas this weekend, Kasey Kahne assembled with Sprint Cup car owner Rick Hendrick to announce his future relationship Hendrick Motorsports' #5 Chevrolet for 2012. In a April 14th press conference, Kasey Kahne happily shared the news of his upcoming 4-year commitment with members of the media. "I think it’s the best opportunity I could ever have, and I’m just going to make the most out of it. And I feel like the drivers there, the crew chiefs, the people that work for Hendrick Motorsports, I think it will just be a great fit." Kahne responded to the reason for choosing the championship-winning racing organization. Mentioning that he had entertained multiple teams before signing with Hendrick, Kahne spoke highly of the personnel and equipment of the top Chevrolet team as solidifying has decision. "Well, I think their equipment’s, you know, definitely very good. You know, but I think it takes people, and they have great people and it takes a lot of dedication and hard work, and that’s where you get Jimmie Johnson. That’s why that guy and that team are so strong." Kahne said in his own words answering Sirius NASCAR Radio's Claire B Lang. With Kasey Kahne's current contract between himself and Richard Petty Motorsports expiring at the end of this season, Kahne's 2011 downtime remains a question. Due to NASCAR's strict rules limiting teams to four cars, Hendrick Motorsports is unable to field Kahne through the 2011 season. 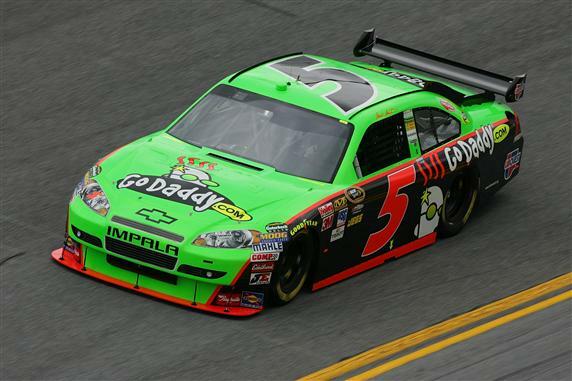 On speculation that Mark Martin could leave the #5 car early, Rick Hendrick clearly iterated on the press conference that Mark Martin will continue to drive the #5 Chevrolet as planned through the end of 2011. 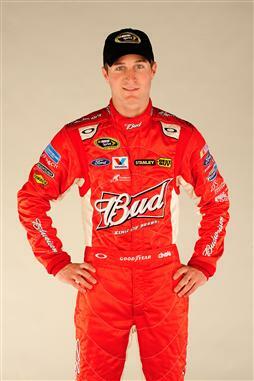 At the same time, Hendrick also affirmed that Kahne will be driving a Chevrolet in NASCAR competition next year. Possibilities have Kahne temporarily going to a 3rd car for Stewart-Haas Racing or perhaps running a full Nationwide Series schedule. The latter suggestion is a little absurd as Kasey Kahne has had a presence in Sprint Cup for 7 seasons. In the past, deals involving such career foresight for drivers have not resulted as planned. In 2005, Jamie McMurray was hired by Roush Fenway Racing as an intended replacement to Mark Martin after the 2006 season. However, the departure of Roush Fenway Racing's than driver Kurt Busch as well as the discontent of McMurray's Chip Ganassi Racing team led the deal to be modified to allow McMurray to make a 2006 entrance with the new team. Kasey Kahne concluded to mention that he remains fully dedicated to the Richard Petty Motorsports #9 Ford through the rest of the 2010 NASCAR Sprint Cup campaign.